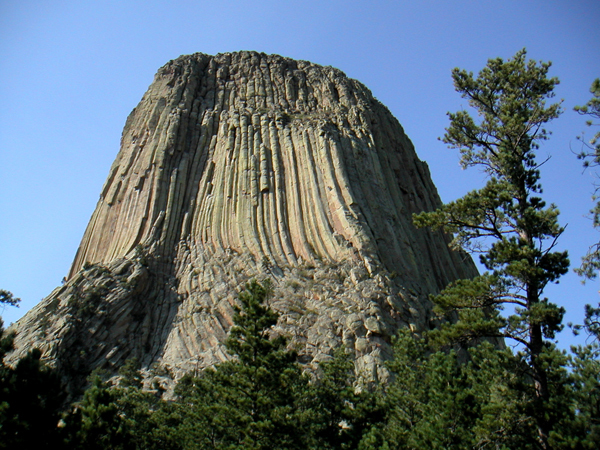 Devils Tower NM is a surprise. Such a diversity of geology and vegetation in this small park, the first National Monument proclaimed by Teddy Roosevelt in 1906. 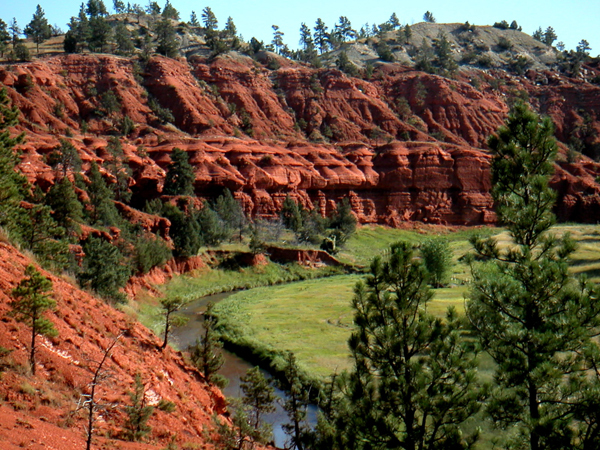 From Red Beds Trail we got a close up view of the dark red sandstone cliffs (Spearfish Formation) cut by the Belle Fourche River. 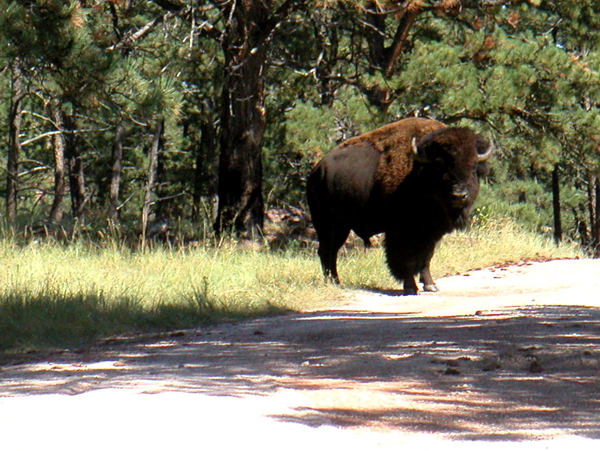 The trail also takes us through the Ponderosa pine forests of the Wyoming Black Hills. Almost 4 mile loop from the campground, it takes you around the Tower and to the Visitor Center – great hike! The formation was very similar to what we had seen at Devil’s Post Pile near Mammoth Lakes, California. The rock type is known as phonolite porphyry and apparently this is a much larger formation although we felt it was clearer to see the hexagonal formations at Post Pile. 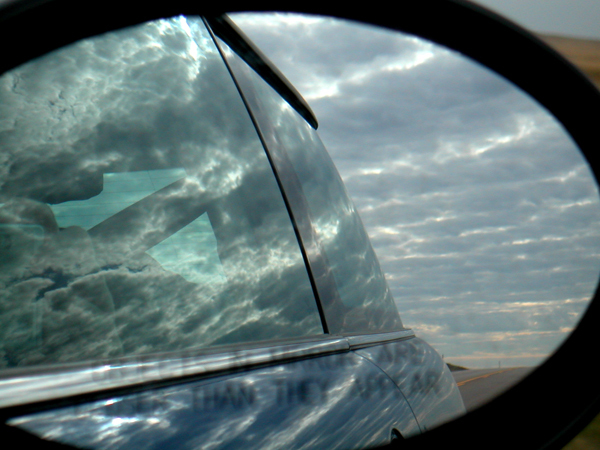 Guess that is why we travel to see new things, which remind of past sites, to discuss the differences and similarities. 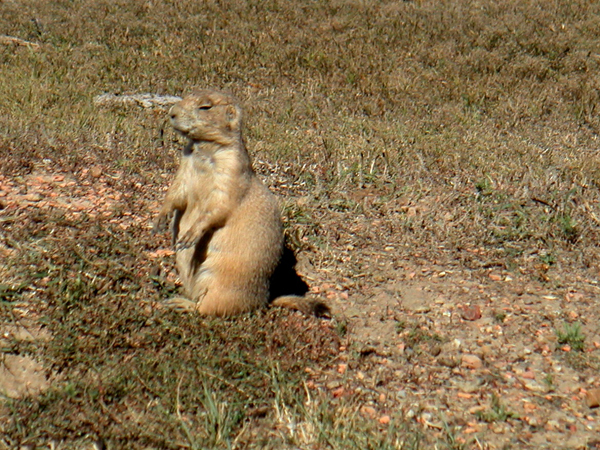 The campground was next to Prairie Dog Town so we were able to watch these cute little black tailed guys chatter at each other, warning of the bipedal intruders – that would be us! Hard to get them to pose for you – we learned they are related to squirrels. 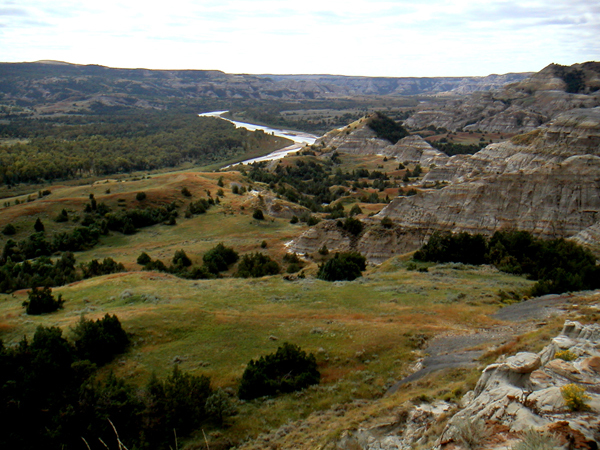 We continue heading north to the badlands of North Dakota: Teddy Roosevelt National Park. 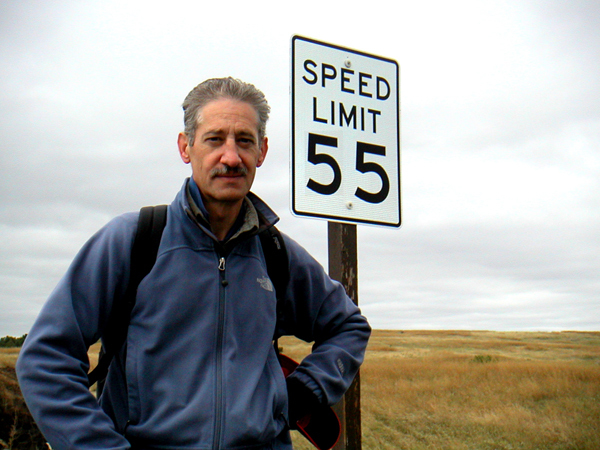 Hey Henry – Keep on Motoring at 55. We had several encounters and got this shot later in the week. 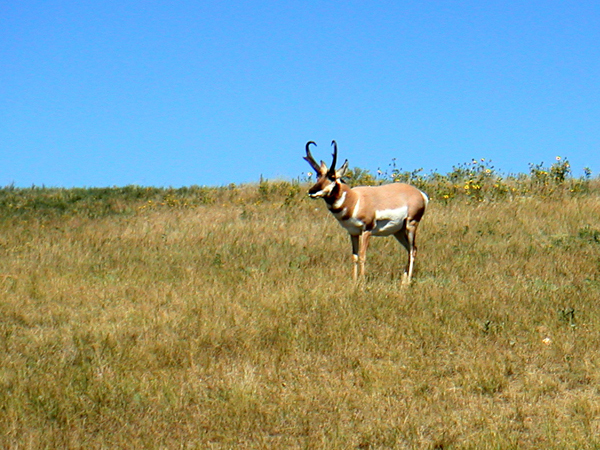 But this is their land and it is really fun to see so many – most hang in herds but a few of these big males are solitary. We hiked a portion of the Lower Paddock Creek Trail with this view of the creek, sage brush, grasslands and interesting Con Trails to give us a modern viewpoint. It is beautiful but we wouldn’t want to be here on a hotter day. Sunset with the almost full moon rising near the Buck Hill portion of the loop road. 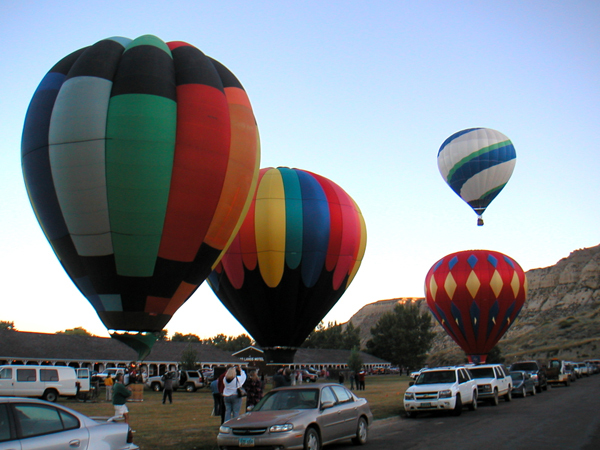 We got up early on Saturday for a Hot Air Balloon rally in Medora. 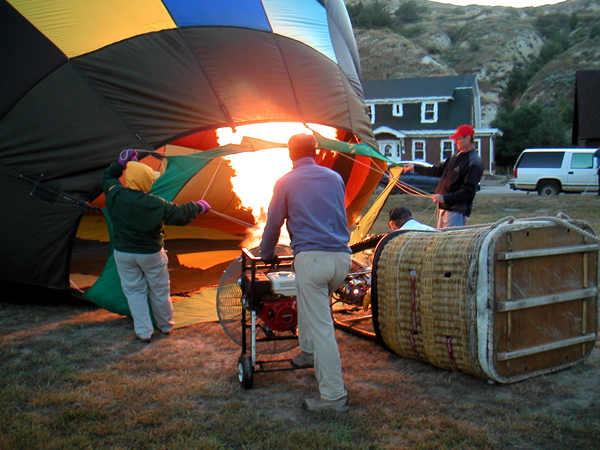 Henry is holding onto the fan while they fire up the flame to stand the balloon and basket upright. 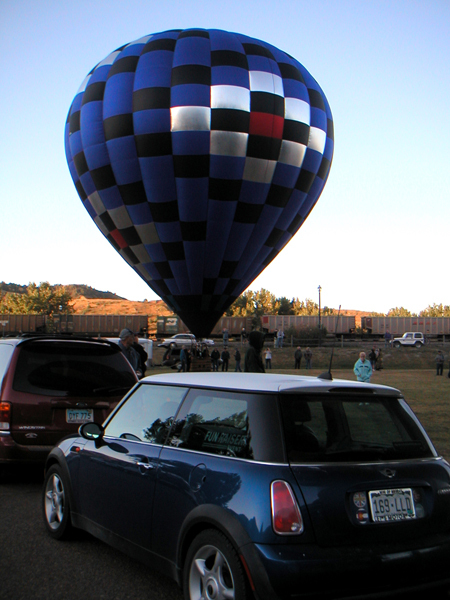 The MINI wants to go up up and away…we loved how this balloon had the same colors as the the car. 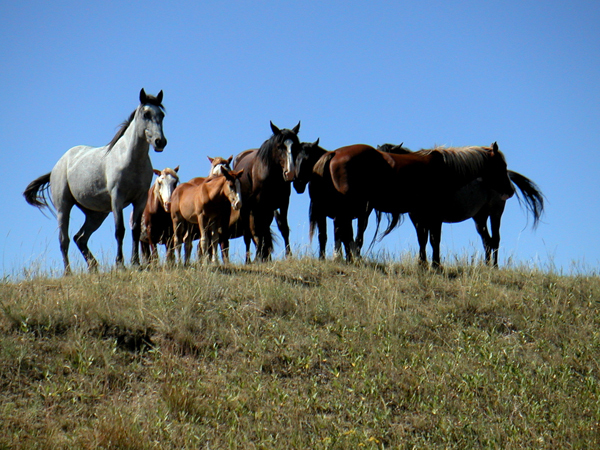 Wild horses – aren’t they wonderful! What a delight to see them. 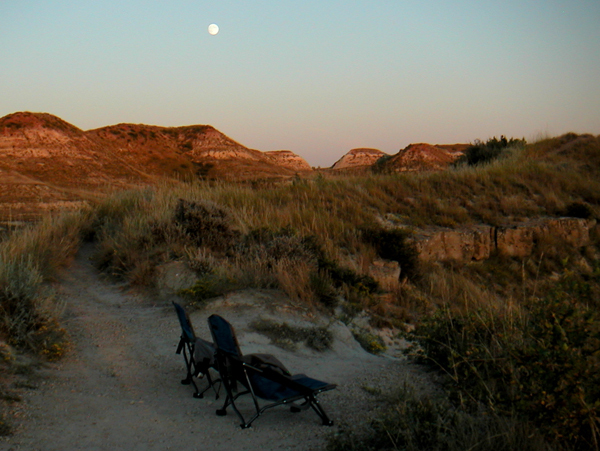 We took our chairs up to Wind Canyon Overlook to enjoy the sunset. Three riders on horseback were in the valley and we watched them cross the river a few times – it was surprising how far the sound travels of the hooves and their voices. 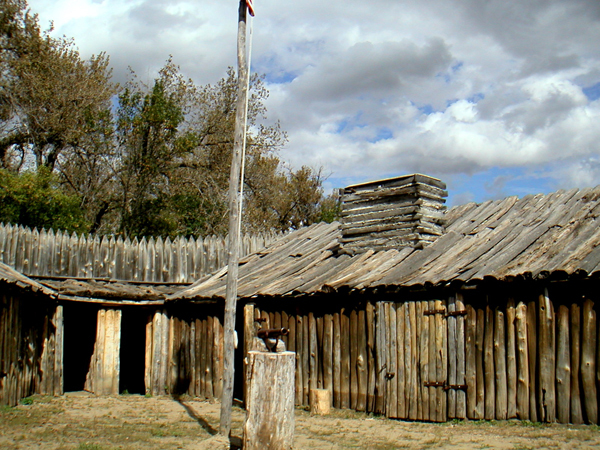 We went further north to Ft Union Trading Post NHS which was the most important fur trading post on the upper Missouri from 1828 to 1867. 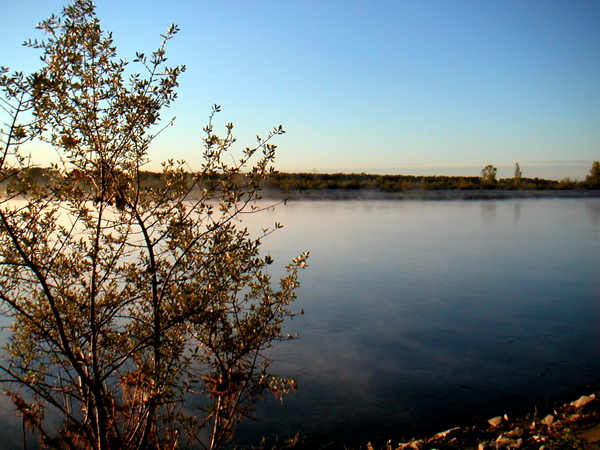 Lewis and Clark recommended this area near the confluence as a good spot for a fort so the American Fur Company (John Jacob Aster) followed their advice. 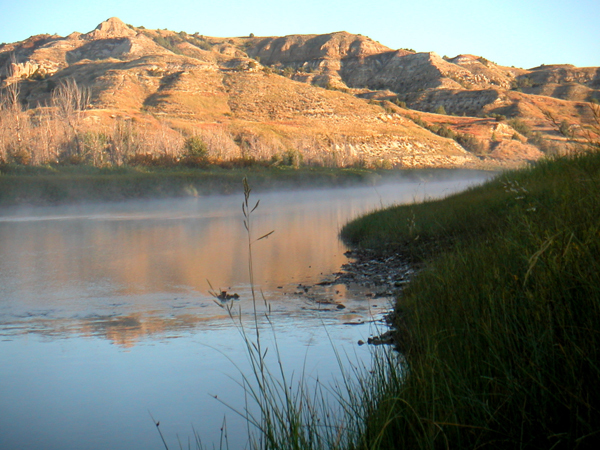 This is just upstream of Ft Buford and the confluence of the Yellowstone/Missouri Rivers. 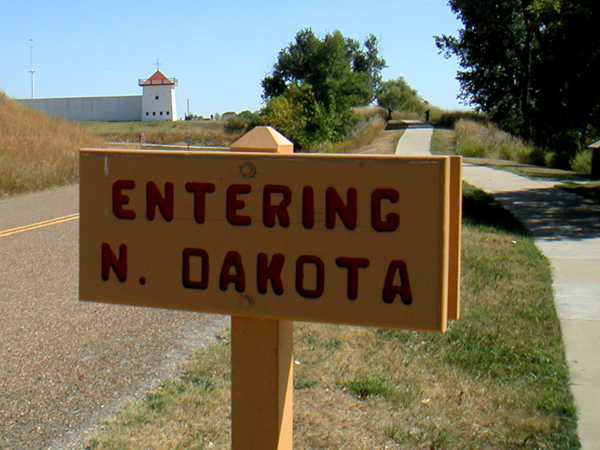 Ft Buford is where Sitting Bull surrendered his gun. 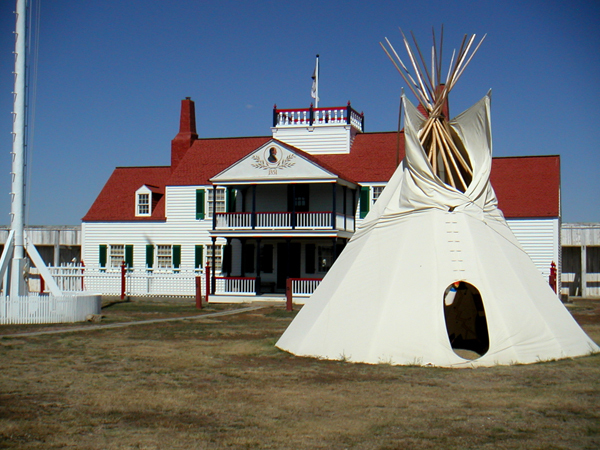 Here at Ft Union they did not want to sell me any buffalo skins because they said they were only buying – but they did give us a cup of coffee brewed over the open fire. Hospitality was important before any trading could commence. 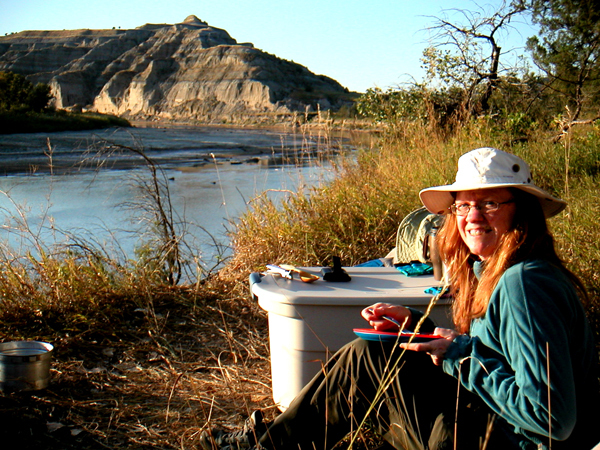 Juniper Campground had this spot for us to camp 2 nights, also on the Little Missouri River. We were interested to see how much the north unit of Teddy Roosevelt differed from the south. We continued down towards the river on the Achenbach trail and you can see how far below the CCC Picnic shelter we went. We enjoyed the hike among the hills and the wilderness – but only one solitary buffalo sighting. 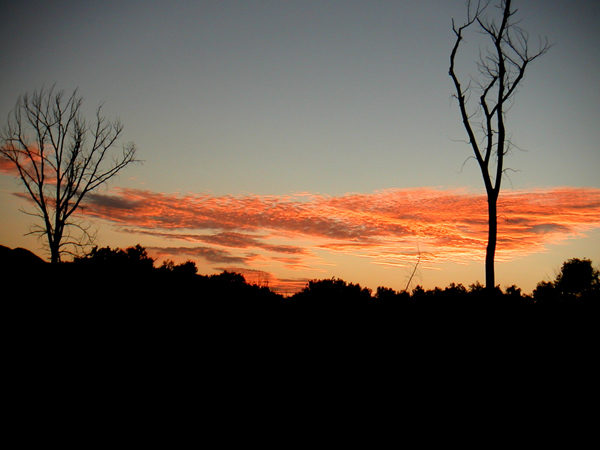 An incredible sunset from the Little Mo trail near the campsite. We hiked the mile long loop at dusk to watch the full harvest moon rise, a solitary buffalo grazing, and the changing colors of the evening sky. A wonderful evening. 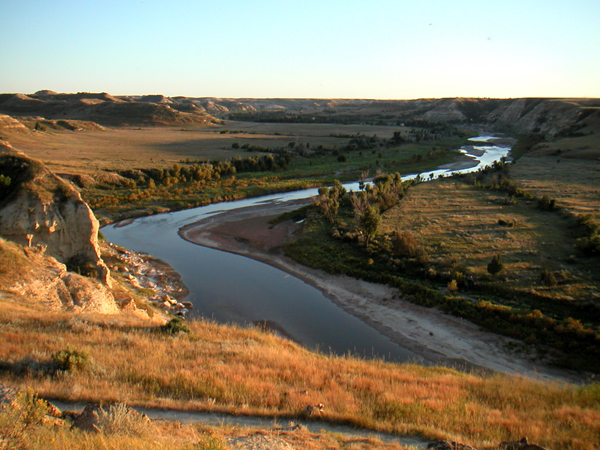 This is the mighty Missouri river. 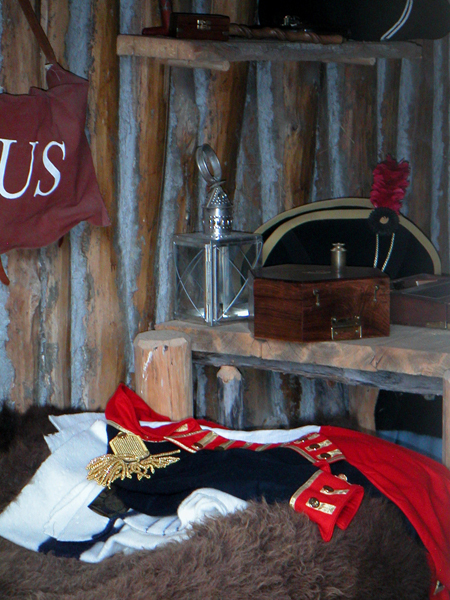 Legends of Lewis and Clark abound as they traveled this way in 1804 and again 1806. 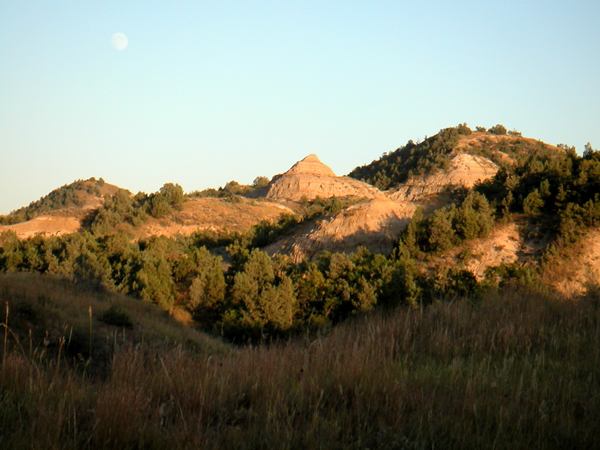 This is an early morning view from our campsite at Cross Ranch State Park and is considered one of the sections most like L & C would have experienced. We heard the Canada Geese flying overhead almost all night – why did I think they stopped flying at dark? 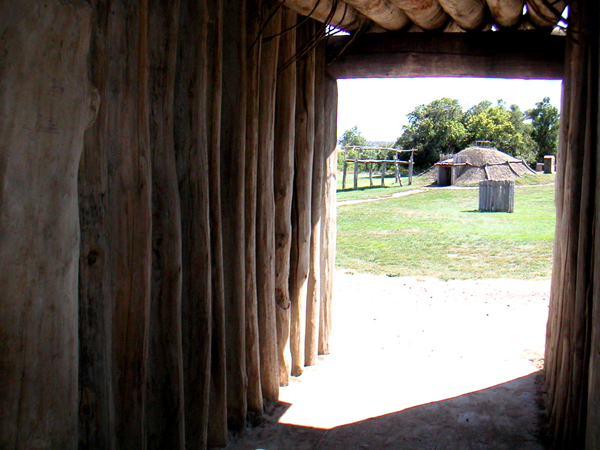 On A Slant Indian Village has been recreated on the exact location (part of Ft Abraham Lincoln State Park). This village was abandoned due to small pox when L & C passed by but there were other Mandan villages similar to this. 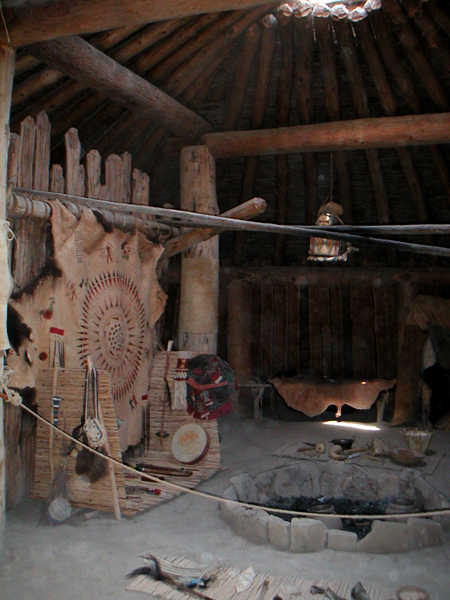 Knife Edge Indian Village NHS was another recreated site with an excellent interpretive center. School groups were doing some very fun things like actually building the frame of a new structure, practicing their atlatl hunting skills, stretching buffalo hides, and checking on their corn crop in the garden. We walked the path to several archeology sites to get an appreciation of the exact location of the villages to the river. This is inside Knife River but we also went into one On A Slant which had a fire going – amazing how much heat the structure contained. It was actually quite cozy. This looked like it would be a good way to spend a winter but we learned these were the summer homes so they did not deplete the wood near these homes. Ft Mandan! Imagine spending the winter here 1804 with 40 of your closest friends. 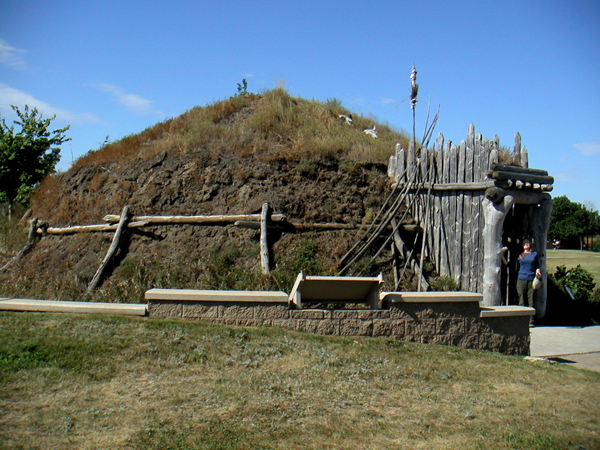 This is a reconstruction and they don’t know exactly the site of the original fort – but it only lasted for one year. A flood took it out before L & C made it back in 1806. The flood this year 2011 was also huge and the fort is now just reopening. It was not flooded but surrounding area was, making access difficult. Plus all the artifacts were removed for safekeeping – just in case. 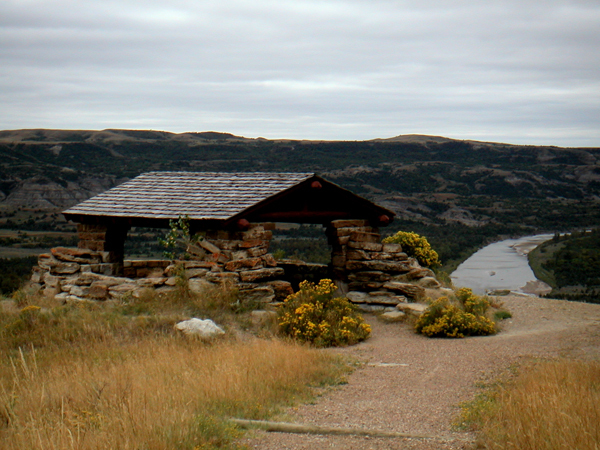 Captains Lewis and Clark’s room at Ft Mandan warmed by a stone fireplace. We thought this might be the most spectacular sunset we had experienced. 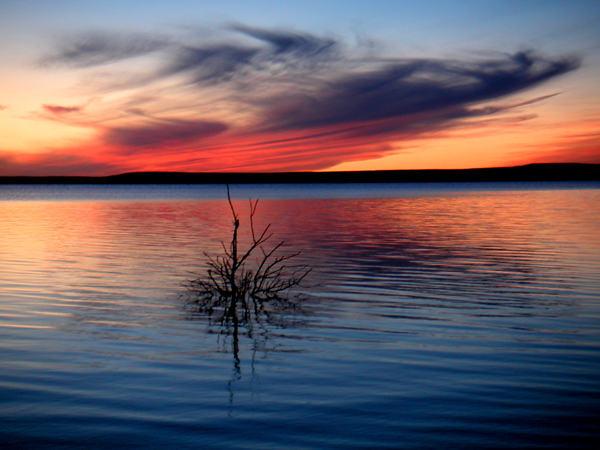 Cow Creek State Park on Lake Oahe (which is the Missouri dammed up) has awesome campsites on individual peninsulas jutting into the water. We walked our private sandy beach, startled a few deer, and marveled at the changing colors reflected in the water. Did L & C have moments like this? 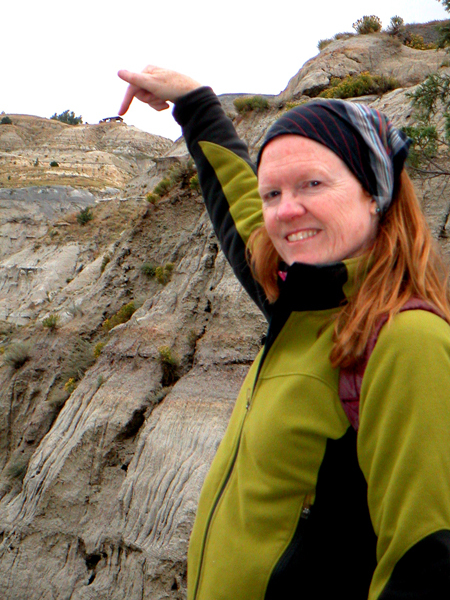 Badlands NP Rain caught us here and even tho the red does show more intensely, we were not able to hike off the boardwalks as the rock was really mud! 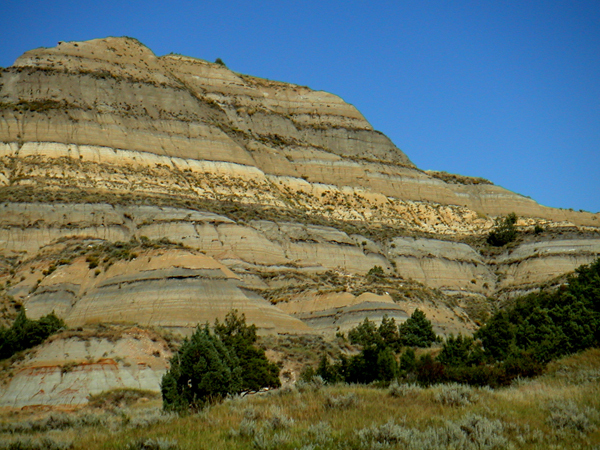 But notice the different from the badlands at Teddy – fun to experience all three varieties! 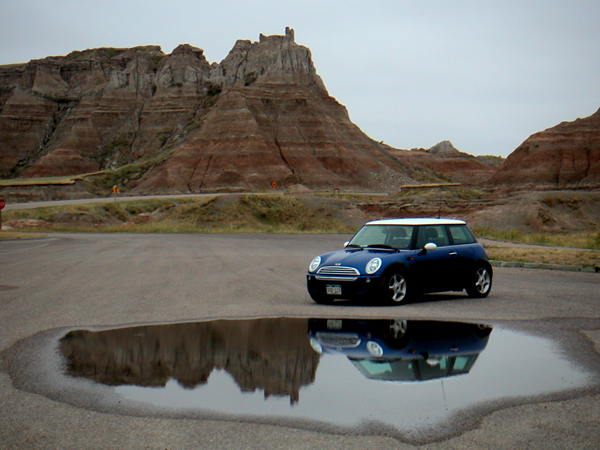 Would you mind just posing in front of that scenic backdrop – Thank you! Couldn’t get much better if you had planned it. 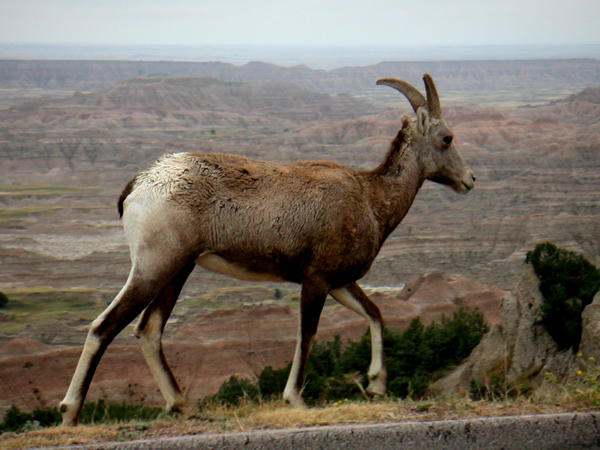 Very cool to see this bighorn walking along the road. This entry was posted in Hiking, National Parks. Bookmark the permalink.